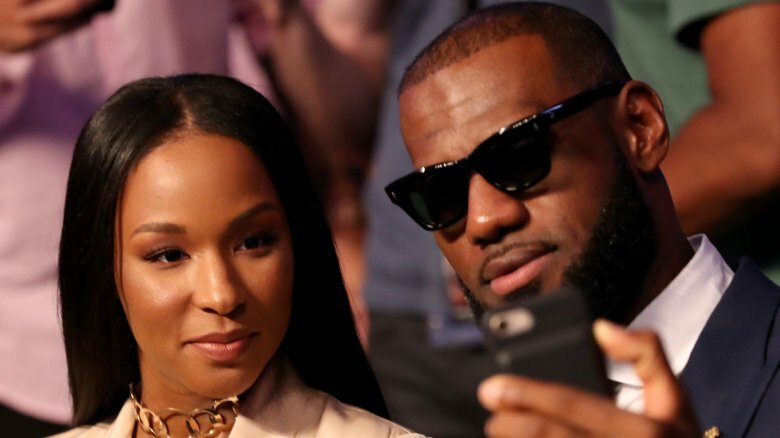 LeBron James and Savannah Brinson met as students at rival Ohio high schools — James was a senior and basketball team star, while Brinson was a junior, who played softball and cheered. 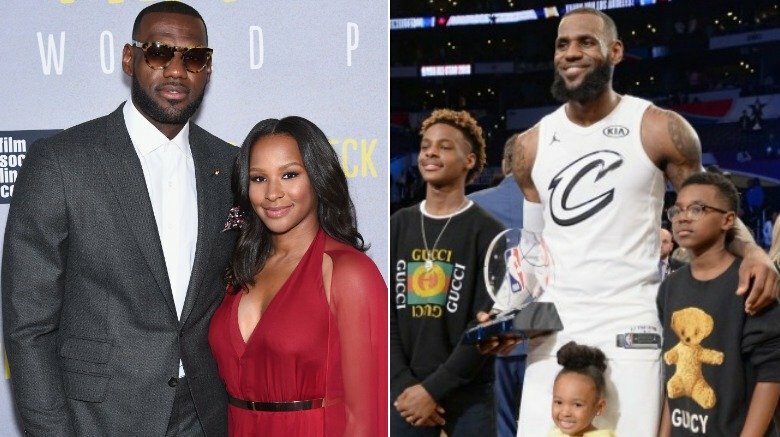 After a brief courtship, Brinson became pregnant with their eldest son, Lebron Jr., during her senior year of high school. The timing of their unplanned pregnancy couldn't have come at a worse time, as James was just starting his rookie season with the Cleveland Cavaliers. "I was very scared. I was bawling. But he said, 'It's not going to slow me down, and it's not going to slow you down. We're going to keep doing what we have to do,'" she recalled to Harper's Bazaar. And he was right — his career only accelerated from that point on, and with every move he made, Brinson has been a constant, devoted fixture in his life. A wedding and two more children later — son Bryce and daughter Zhuri — we've noticed how untraditional their relationship is. 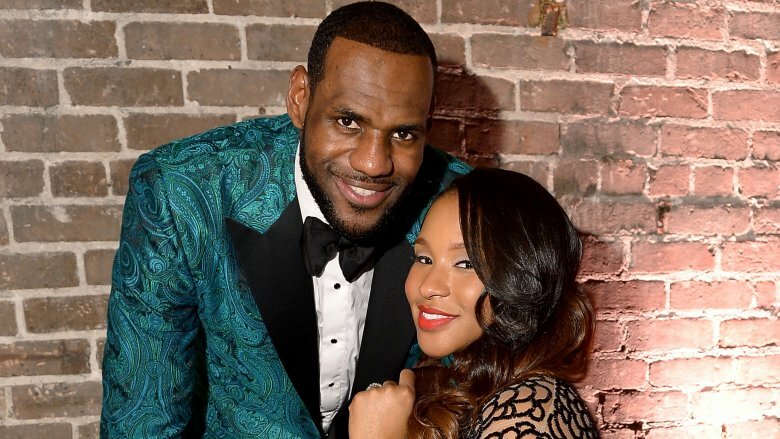 From their home life catering to the self-proclaimed king, to rumors that he may have a thing for messaging random women, here are the strangest things about LeBron James' marriage. Brinson first caught James' eye at a football game during his senior year, and he soon asked if she would attend a basketball game. "I'm like, 'Um, nope. I'll take his number,'" Savannah said, recalling their first encounter to Cleveland Magazine. While the rest of their city and the sports world were buzzing about the talented young kid who was predicted to dominate the basketball courts one day, James quickly faded from Brinson's mind. "One day I'm sitting around — I was probably bored or something — and I'm like, 'Oh, I forgot! I have this number for this guy that I can call. He seemed interested, so let's see,'" she said. After attending one of his basketball games, she realized he was kind of a big deal. "I went, and I was like, Wow, this guy is pretty popular in here," she told Harper's Bazaar. After the game, they took a trip to Applebee's with a group of friends, followed by a one-on-one date at an Outback Steakhouse, where she called their conversation "basic." Most girls would quickly write a guy off after a mediocre convo, so we wonder what made these two lovebirds continue to see each other after their sub-par first date? 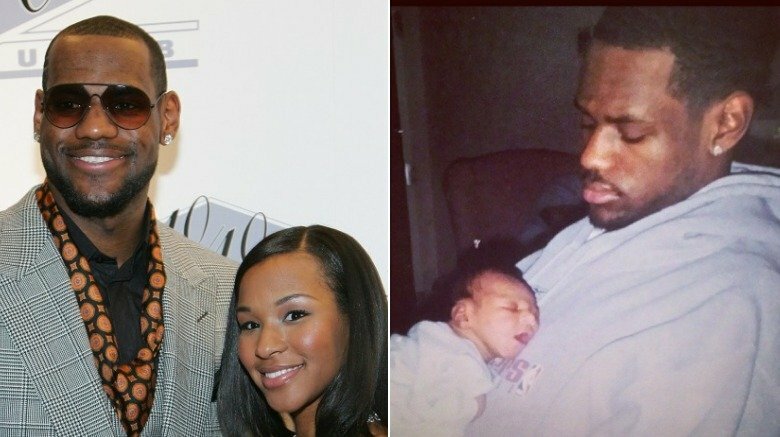 During her senior year of high school, a flurry of thoughts raced through Brinson's mind once she realized there was a LeBron Jr. in her tummy. "I was thinking, 'What am I going to tell my parents? What's going to happen to his career?'" she told Harper's Bazaar. It was James who helped to keep her calm and ease her fears, but the support she received from him didn't stop the people in her hometown from making disgusting remarks about her intentions. 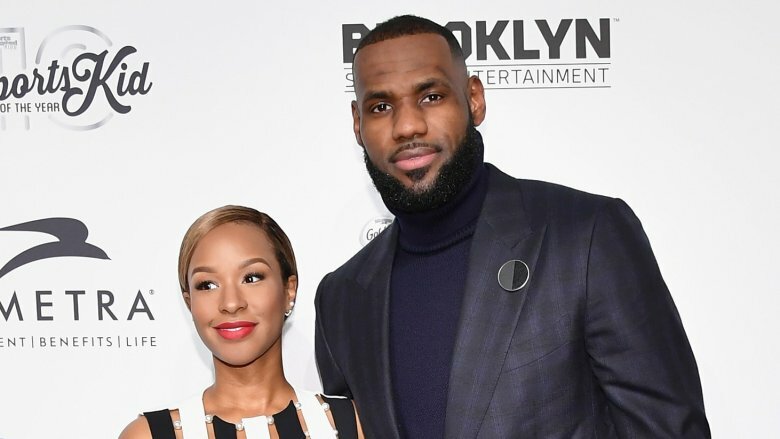 The naysayers were quick to speculate that Brinson had gotten pregnant on purpose to lock down a child with James, who was in his rookie season with the Cleveland Cavaliers. "That was clearly not the case," she told the magazine. "I had a good group of friends around me, so I didn't let those things get to me. If I did, I would have been running home crying every day." The haters weren't without reason for their thinking though. The NBA has even confirmed they teach rookies to retrieve their used condoms so women are unable to impregnate themselves with leftover fluids. So, baby entrapment is a concern for some. As a student at Akron, Ohio's St. Vincent–St. Mary high school, LeBron James' athletic prowess was a coach's dream. He started out playing football before he finally graced the basketball court with his presence. It wasn't long until NBA scouts had their eyes on him, and he was even featured on the cover of Sports Illustrated magazine when he was still a high school student! In other words, most bigwigs in the basketball world were able to easily recognize his potential. Brinson, on the other hand, wasn't so sure. "I just thought he'd be a hometown hero for his era and it would be over. He was a normal high school senior," she told Harper's Bazaar. Normal? Did she just say normal?! We're not exactly sure when she changed her tune. We're guessing it was either when the Cleveland Cavaliers selected him as the first pick in the 2003 NBA Draft or when he won his first championship in 2012 with the Miami Heat. Still, we're scratching our heads at the thought that anyone, especially his better half, had doubts about his greatness. 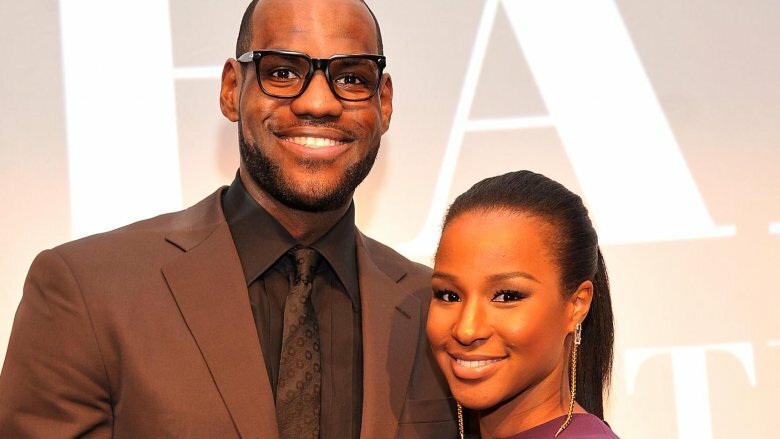 After giving birth to LeBron Jr., LeBron James and Savannah Brinson's son Bryce soon followed. Still, there was one thing missing from their lives: the title of husband and wife. Speaking with Harper's Bazaar in August 2010, Brinson said she hadn't "put a fire under his a**" in terms of demanding they tie the knot because she didn't want to rush him. "We're really comfortable with the way things are now. And it's not up to me. When it happens, it happens," she said. James finally proposed in January 2012. He later told Oprah's Next Chapter (via People) that he waited for a special moment — a Miami New Year's Eve party "when all [his] teammates and [his] friends and family" would be present — to pop the question. With his then-teammate Dwyane Wade holding onto the engagement ring for him, James anxiously awaited the right moment. And — get this — he almost backed out at the last second! "I asked [Wade] for [the ring] right after the ball dropped," he said. "He was like, 'You ready?' I was like, 'If you don't give me this ring right now, I ain't gonna do it.'" WTF?! James and Brinson married in September 2013, but, jeez, it took him long enough to seal the deal. What a scaredy cat. LeBron James essentially lives his life underneath a microscope, and any slip-up is guaranteed to make headlines for days on end. The basketball player found this out the hard way in April 2016 when a woman named Rachel Bush put him on blast by taking a screenshot of a suggestive direct message he allegedly sent to her that read, "Hey what's up?" Sounds harmless, but let's not forget this is a married man we're talking about here. And guess what! That wouldn't be the last time he got caught with his hand in the cookie jar. Next up was a woman named Heidi Hoback — an Instagram model and avid hunter — who exposed the basketball player for allegedly sliding into her DMs. The alleged message he sent (via Total Pro Sports) read, "Teach me how to hunt and I'll teach you to play ball. Deal? Lol." Yikes! 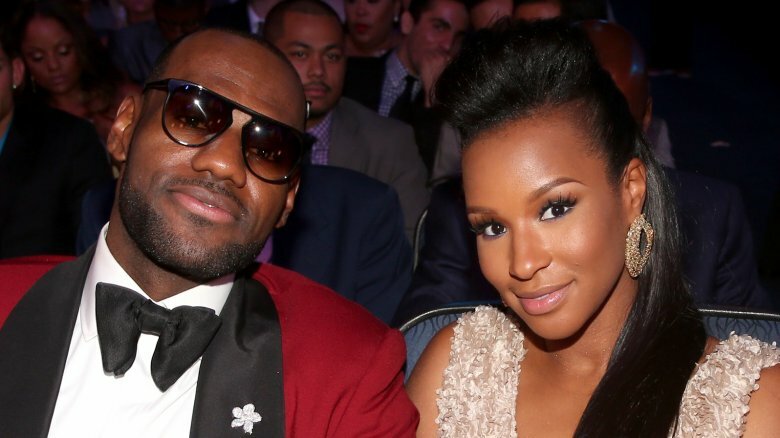 LeBron and Savannah never publicly addressed the alleged texts. Maybe they have an agreement that flirting doesn't count as cheating? Either way, it's super strange for a married man to send random women messages on social media. So Bron Bron, please, give it a rest. While chatting with Essence magazine about her strategy in becoming an integral part of her husband's success, Savannah Brinson answered, "I'm his support system with whatever he needs. If he needs someone to listen to him. If he needs to talk or if he says, 'Hey babe, I'm tired. Can I take a nap?' I will say, 'Yeah, baby. Take a nap,' and keep the kids occupied." Sounds pretty normal, right? Well, here's where things get strange. The mother of three added, "The balance that I create in our house is for his success." Let's recap: Not only is he a star on the basketball court, but James is treated like royalty when he's at home with his family, too. Don't get us wrong — we get exactly why it's important for his needs to come first at times. We just hope Brinson's not constantly getting the short end of the stick in this marriage. 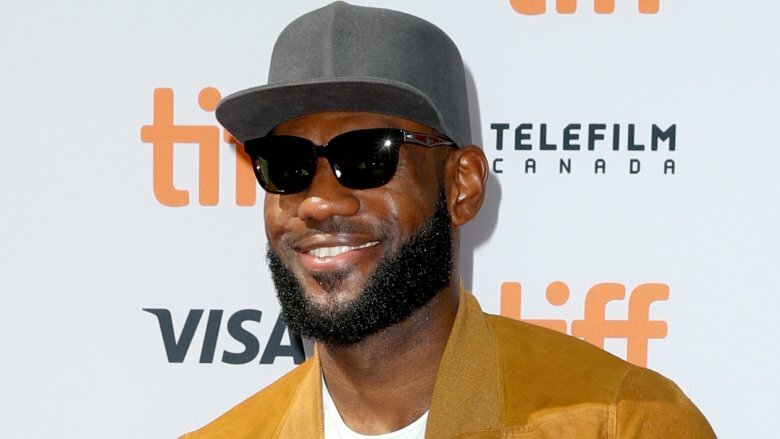 LeBron James isn't running short on cash, especially after signing a four-year, $153.3 million contract with the Los Angeles Lakers. We're pretty sure he wants for nothing, and he loves to splurge on his queen, too. For her 30th birthday, he surprised Brinson by purchasing a pricey Ferrari. "What a night and what makes me happy more than anything is putting a smile on your face! Took me a long time to find your masterpiece but I wouldn't stop until I did and now I can't wait to watch u cruise off into the sunset on the PCH. Happy Bday Queen," the athlete wrote in a Facebook post. There was just one little problem with his gift. Though Brinson was thrilled with her new set of wheels, she told Essence magazine, "It will be even more awesome when I can drive it. I cannot drive a manual. I'll learn to drive it. By this spring it'll be on and poppin' in my new Ferrari." It seems pretty wasteful to spend a pretty penny on a ride that's going to get dusty in the back of the garage, no? When it comes to talking about her husband, Savannah Brinson never minces her words. As evidenced by her declaration that they're soulmates in an interview with Harper's Bazaar, she's always quick to gush about just how much she loves him. And, trust us, we believe her 100 percent. It's clear that LeBron James feels the same way about her. 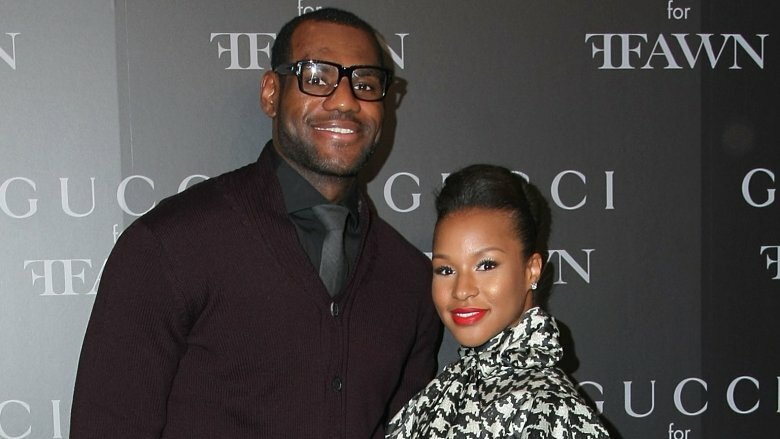 During that same interview with Harper's Bazaar, LeBron spoke out about his adoration for his wife. "A person like myself always needs a great sidekick and a person you can rely on no matter the circumstances. And she's that," he said. Most people would refer to their spouse as their "partner" or maybe even as their "best friend." But a sidekick?! Our weird-o-meter is pinging out of control! Then again, as long as Brinson is fine with being the Robin to James' Batman, then we have no right to get all fussy over the dynamics of their marriage.